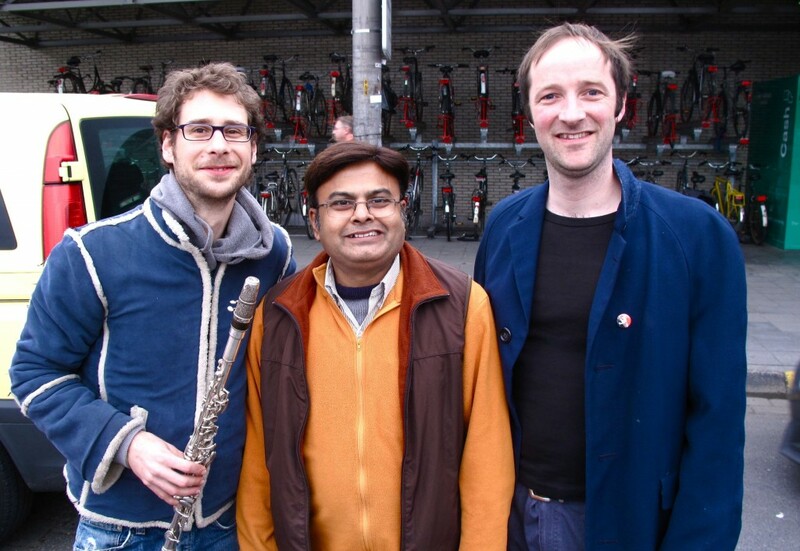 Ik ben blij jullie nog eens te mogen uitnodigen voor een concert met Indische muziek. voor een gezin 20 €. 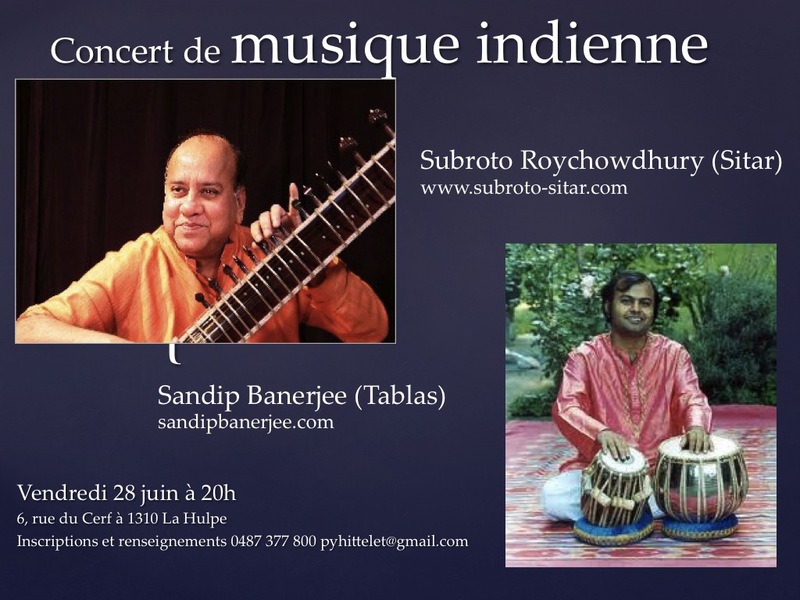 C'est un plaisir pour moi de pouvoir vous inviter à un concert de musique Indienne. Prix pour le concert : € 10, enfants et jeunes de 12 ans ou moins : € 5 ~ familles 20 €. 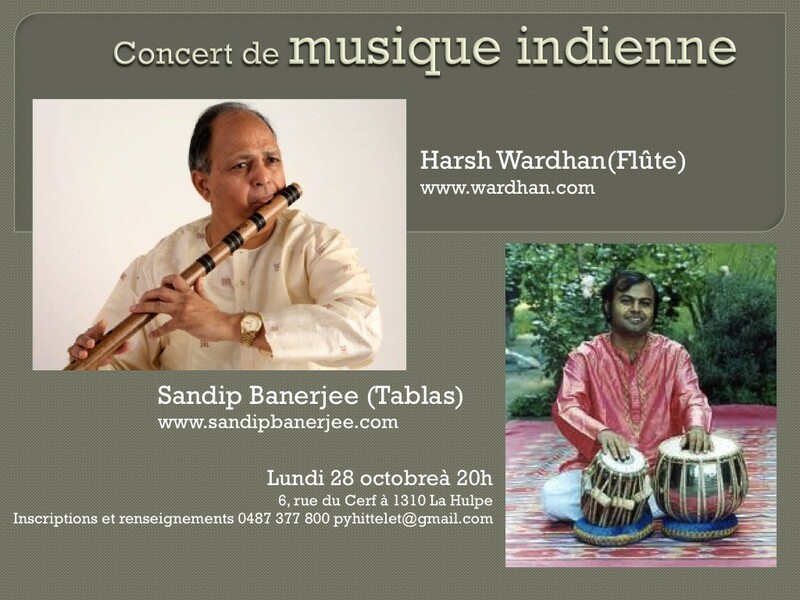 Concert with Harsh Wardhan on Bansuri and Sandip Banerjee on 27th october at 19;30 h In Art Base, Brussels under Europalia.India Festival. Both group is bsed on Belgium. 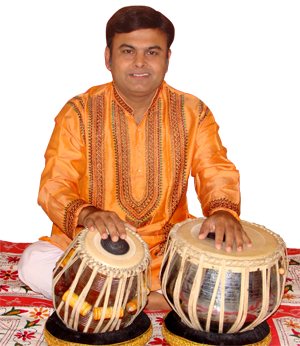 A new you tube site has been created for Tabla students who want to learn tabla from very basic training to advance level. I shall be in Brussels from 6th October till 12th November 2013 and in April-to June 2014 for giving concerts and Teaching Tabla. Lessons on Skype is going on . Card will be available on gate. Daniel and Sandip play almost since 10 years together and they have a nice repertoire, on two albums. Discover a very special concert on the longest night of the year. This event will be held outdoors, weather permitting, otherwise inside. After the concert, an Indian meal will be waiting for you. Meal: 10€ Please make your reservations in advance. 3) on 29th June at 15.30H at Watermaal Boosfort, Brussels. 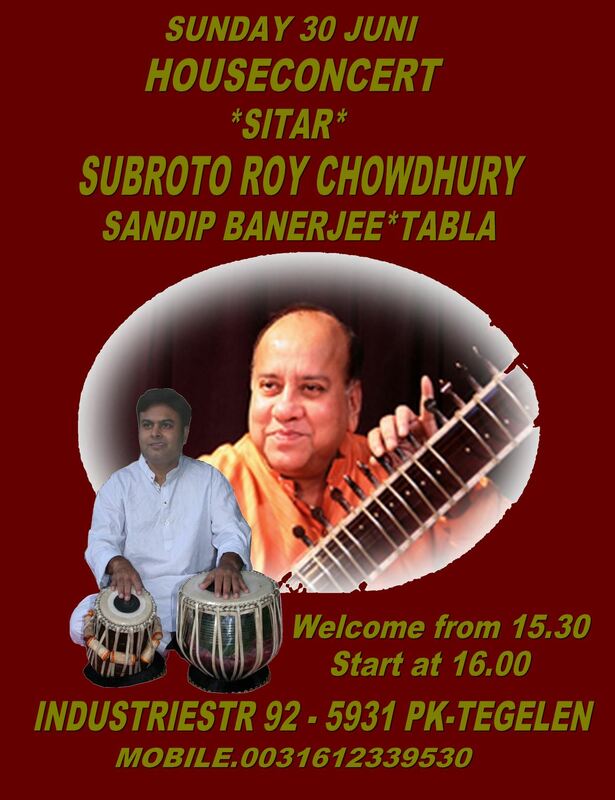 4) on 30th June at 16h, Teghelen, Holland. 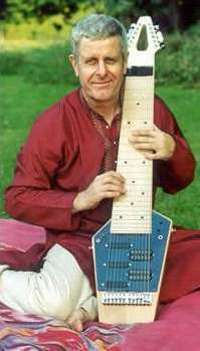 Indian Classical Sitar and Tabla. 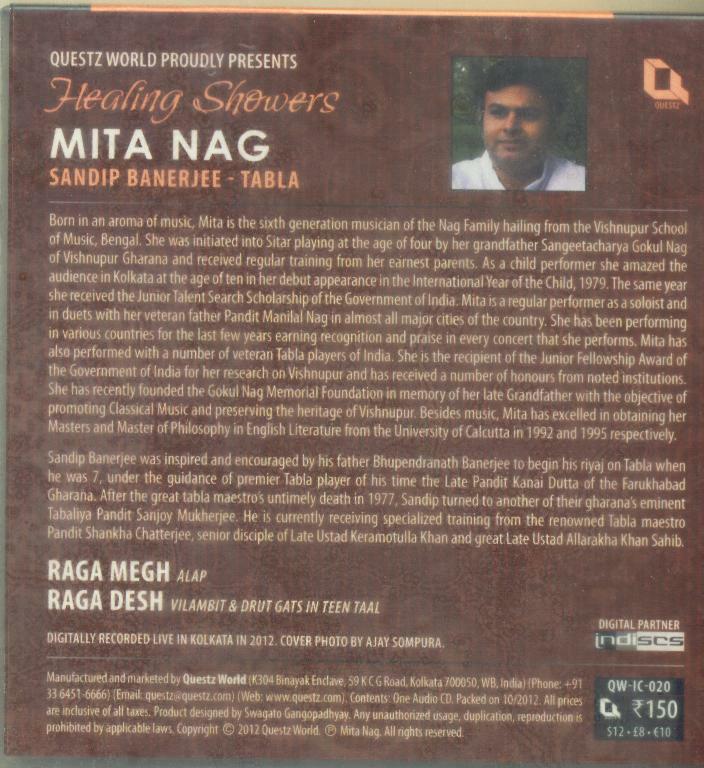 Name of Cd: Healing Shower. Raga-- Desh Gat in Teen Taal. Now I am in Kolkata, India for teaching Tabla, lesson on skype , recordings and concerts. 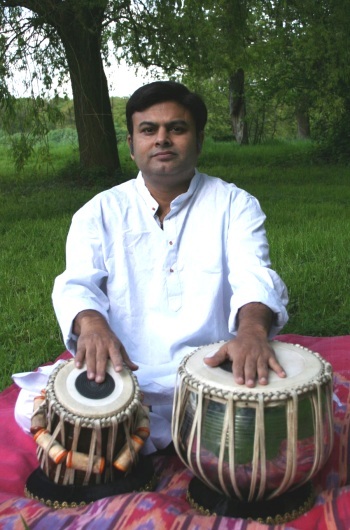 Tabla teaching for beginners and advance students will be going on from 13th October till 18th November in Brussels. Please write e-mail or call +32 499 39 24 63 for classes. 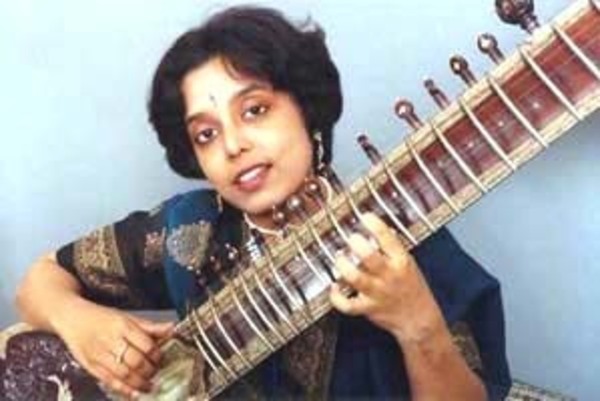 Mita Nag, daughter of veteran sitarist, Pandit Manilal Nag and grand daughter of Sangeet Acharya (a master musician) Gokul Nag, belongs to the Vishnupur Gharana of Bengal, a school of music nearly 300 years old. 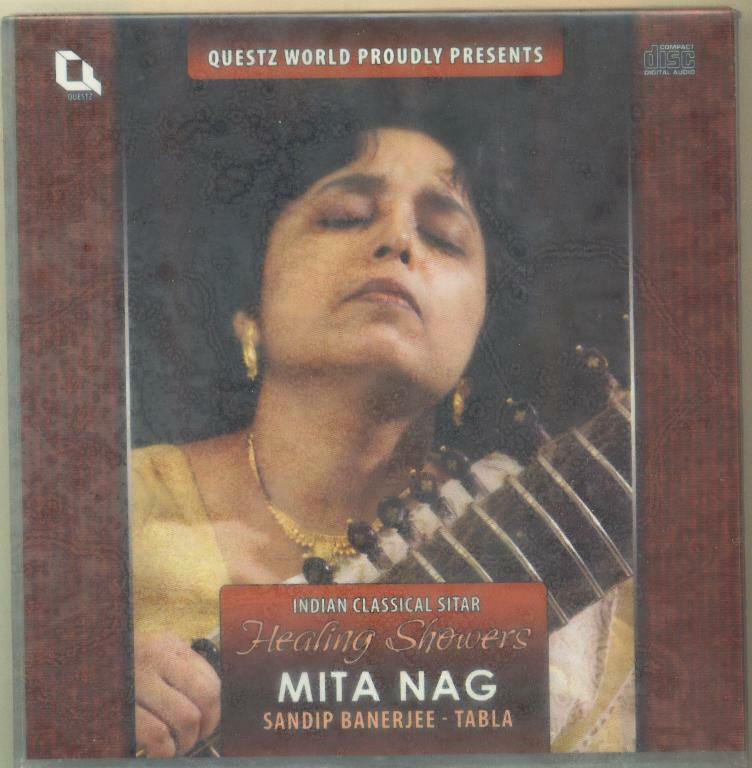 In terms of lineage, Mita is the sixth generation sitar player in her family, the tradition having begun with her forefathers. 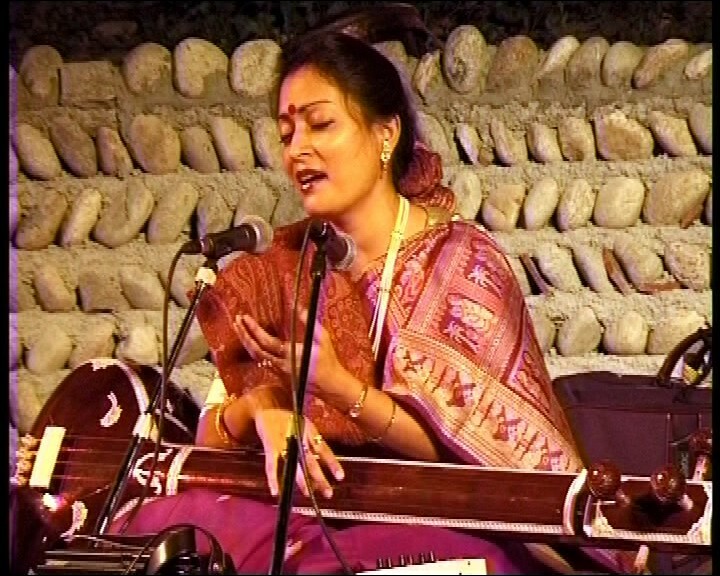 This Gharana follows the Dhrupad style of song and the instrumental recital too, with the dhrupad style in the Alap phase. Mita was initiated into music at the tender age of four. Her grandfather's encouragement and instructions through singing had much influence on her early reception of music, most noticeably, associating the instrument with song. Her tutelage under her father started at the age of six. for her research project on Vishnupur Gharana. Mita is also a Master in English Literature and an M.Phil. in English from The University of Kolkata. 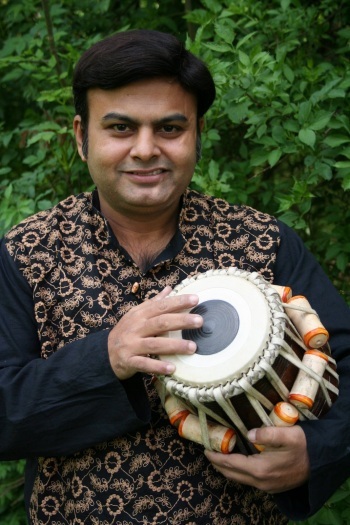 Sandip Banerjee is a professional tabla player who followed 20 years of advanced training under his guru Pandit Sanjoy Mukherjee. Thanks to his solid and soulful style of playing, his graceful accompaniment and his powerful solos he is well known in India and appears regularly on TV and radio with the country's top recording artists. Daniel plays the Mobius TrueTapper, using an 'Uncrossed' string arrangement, and tuned with his 'Mirror Fourths' tuning (as described in his 'My Space' method book.) His TrueTapper is equipped with our optional 'BluesBuster' pickup array (two bass, and three melody pick-ups, switch selectable).